You are so right about the L'Oreal products. i started using the skin genesis eye cream after one of your reviews and have not looked back since, it is a favorite for my eyes and my pocketbok. 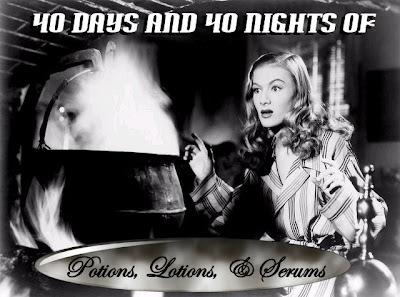 Love the series, so many new "potions" to try, so little time!! Ah, now I want it, and I've still got two weeks worth of my current moisturizer to get through! I've been thinking about trying Skin Genesis stuff since I'm a fan of L'Oreal, but was worried it might be too heavy and make me break out. But the fact that it's got SA in it makes me think that might actually help! Have you found the Vit C in the Skin Genesis to be at all drying? 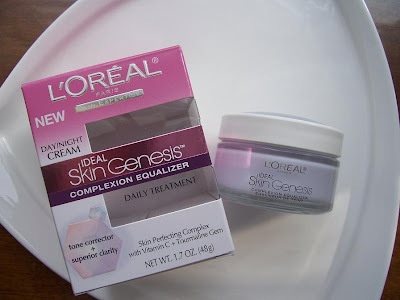 My over-50 skin needs all the moisture it can get, and I'm worried about that aspect of anything containing C.
I love the L'Oreal Skin Genesis line, and I recently tried the Complexion Equalizer as well. I think it is great stuff!! My skin looks and feels smooth, and the tone really is much more refined. I've even been told I have been "glowing" lately... I think it is partially this cream, and partially my other favorite recent drugstore discovery - Revlon PhotoReady foundation. I also use the Skin Genesis eye cream and night cream - they're all great. I will definitely consider this line the next time I need a new eye cream.